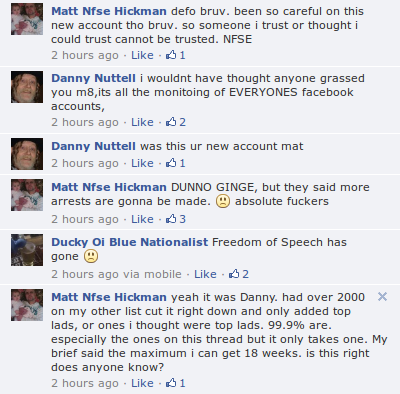 It has come to anti-fascists’ attention that fascist losers, the New British Union, have posted the details of all their national and regional officers on their website. You can find a complete list here. 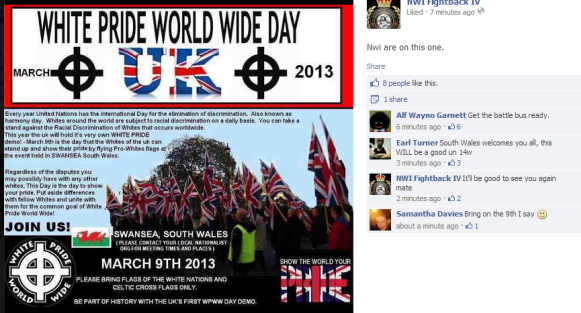 The NBU is based on Oswald Mosley’s British Union of Fascists who supported Hitler during WWII. Mosley’s blackshirts were comprehensively beaten off the streets by the anti-fascist 43 Group of Jewish ex-servicemen in the aftermath of the war. Anyone want to give them a call? According to Hope Not Hate reporter, Matthew Collins, a new hardline fascist party was launched at a village hall in Leicestershire at the weekend. 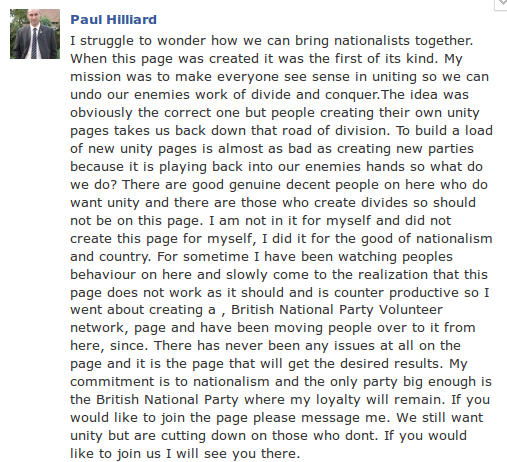 Andrew Brons, who resigned from the BNP in October last year, is trying to bring together members of the National Front, the British Movement and Combat 18 to oppose the BNP. 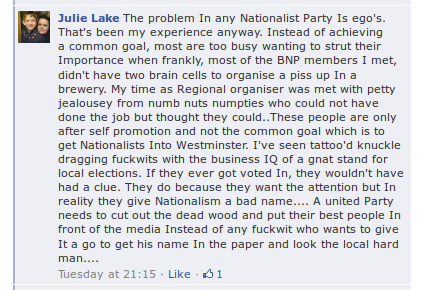 He is a former member of the openly Nazi National Socialist Movement and has long struggled against Griffin’s modernisation of the BNP. 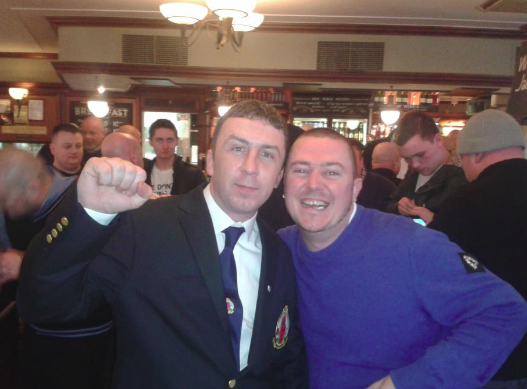 Hope Not Hate claim to have infiltrated the meeting of about 60 boneheads and photographed them. 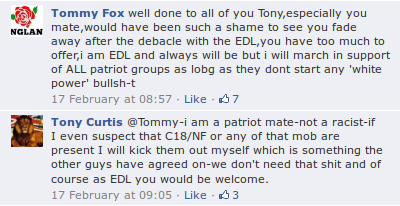 They reckon former C18 Nazis and EDL activists were providing security. 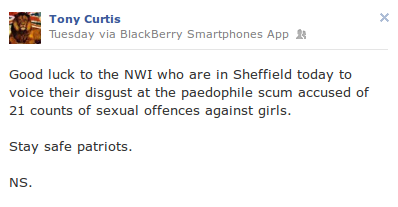 Despite saying that “people have a right to know that these groups of people are lying and cheating their way onto public property to cultivate their message of hate”, HnH declined to reveal the location of the meeting. We were saddened to hear that Freedom Bookshop in London has been firebombed. The long-standing anarchist bookshop was attacked on Friday morning, with the fire causing extensive damage to electrics and stock. Fortunately, nobody was in the building at the time, so there were no injuries. Police are investigating the incident and nobody has so far claimed responsibility, but as explained in this interview on YouTube, suspicion has fallen on the far-right. The bookshop has a long history of supporting anti-fascism and was attacked by Combat 18 in 1993. If this was a fascist attack, it is something of a step-up from the pork product-based approach which seems to have dominated their tactical thinking in recent years. It is also notable that whoever was responsible was not in police custody within hours, suggesting a degree of competence few of today’s master race have achieved. Hopefully this is an isolated incident rather than the beginning of a new trend. 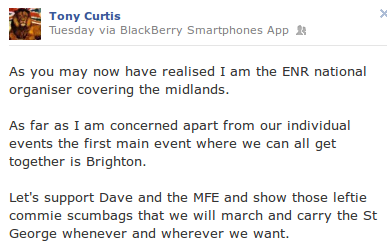 We, and no doubt anti-fascists across the UK, will be monitoring the situation closely. If you’d like help Freedom out financially, cheques or postal orders made payable to Freedom Press can be sent to Freedom Press, 84b Whitechapel High Street, London E1 7QX. You can also help by ordering books through the Freedom Press website and then emailing subs@freedompress.org.uk to let them know that your purchase was a donation. A worrying article on the BBC news website, reports that a Muslim family have been forced to leave the Nottinghamshire market town of Bingham following a string of racist incidents. Offensive graffiti was sprayed on the path outside their house and, in one of the more bizarre racist incidents we’ve encountered, a cross wrapped in ham was left outside their home. Exactly who “these choice few” are isn’t entirely clear. The police seem to have conducted an extensive operation to find those involved, but seemingly without success. 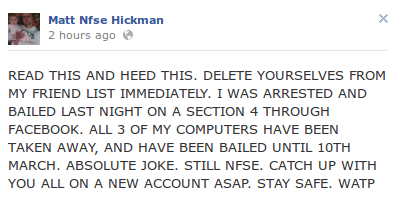 A thirteen year-old boy was arrested, but later released without charge. 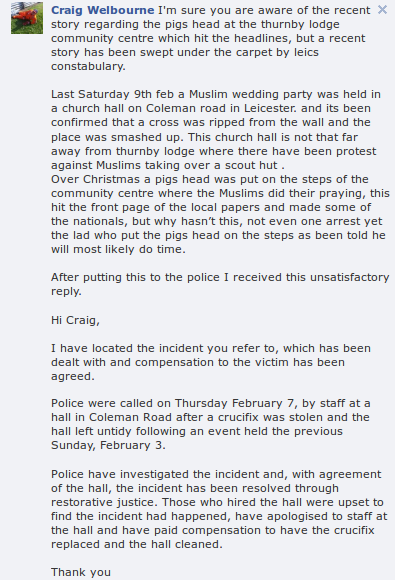 Since then Liam Ferrar, of the EDL-associated “Forgotten Estates” group has admitted religiously aggravated harassment after after he left a pig’s head at the door of a community centre on Christmas Day. 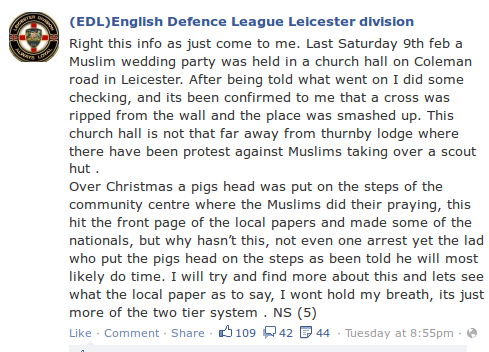 The main indication that the EDL (or one of their multitude splinters) aren’t involved is that whoever is responsible managed to do it without getting nicked withiin a matter of hours. 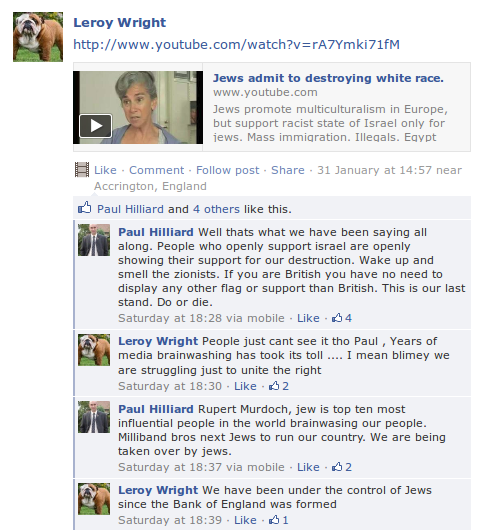 Even if the organised far-right aren’t involved, these incidents illustrate how divisive racism can be in communities. They also point to an anti-Muslim sentiment which the EDL and others have helped to foster and could all to easily exploit.